1. Brew the tea to taste and put in the fridge to cool. 2. Once chilled, add the orange and lemon juice. Serve in tea cups with ice cubes and garnish with fresh mint. 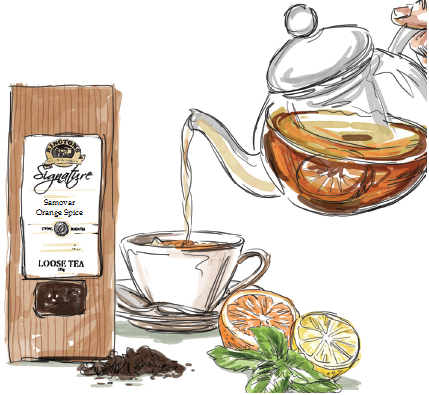 Try using our Samovar Orange Spice Tea from our collection of speciality teas. The infused orange peel adds an extra dimension to this delicious drink.